It merits studying how many kids (and adults) cried this weekend because Santa forgot to pack batteries to go with the drone, or those creepy Hatchimals. We hate batteries. More than that, we hate that little "Batteries not included" disclaimer, which is printed so small on otherwise-seductive packaging that even if you wanted to read it while stumbling through the obstacle course that is holiday shopping, it would take five minutes to find. That's five minutes off your whole life. Recognizing that its core product is the source of so much chagrin, Duracell did the best it could this year—short of totally transforming its business and ridding us of the need for AA's altogether. It launched Duracell Express, an on-demand delivery service for forgetful parents and mythological gift-givers alike. As one guy in this video says, "You can call me the Santa of batteries." 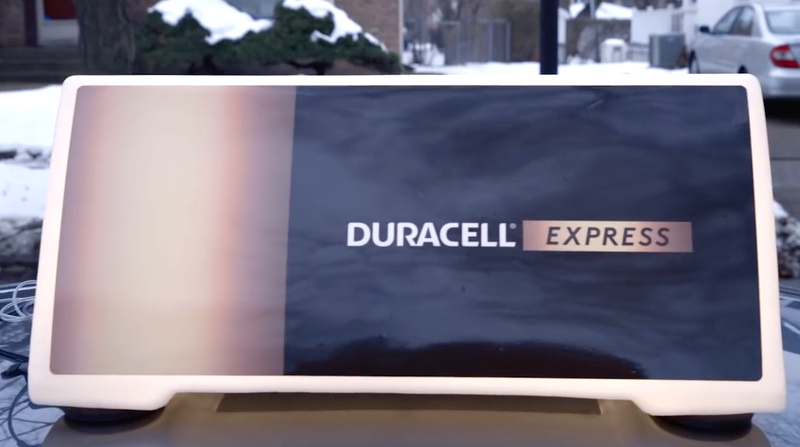 Created by Wieden + Kennedy New York, Duracell Express served Chicago, Milwaukee and Minneapolis on Christmas Eve, with help from delivery service Postmates. Families could request a last-minute visit between noon and midnight—not unlike calling an Uber—and Duracell's battery-bearers came right to their front doors, ensuring joy amid all the torn paper the next morning. The service (and product) was free while supplies lasted. "In the end, over a ton of batteries were delivered!" beams the press release. Building on the Christmas surprises, World Series champion David Ross, formerly of the Chicago Cubs (he's now retired), helped make deliveries to Toys for Tots Chicago, along with the toys themselves. Duracell itself donates 1 million batteries to Toys for Tots each year. "As a father of three young kids, I've witnessed the temper tantrums that can ensue when we've forgotten to purchase the right batteries for the toys Santa brings," says Ross. "I was happy I got to help spread the word about Duracell Express and make sure the magic of Christmas morning wasn't spoiled for any local children due to a lack of batteries." Ross adds that over one-third of holiday consumers nationwide forget to buy batteries for their gifts. Sadly, though, when the power of those batteries runs out, you'll have to go back to buying your own.